‘The day is coming, says the Lord, when I will make a new covenant with the people of Israel and Judah. This covenant will not be like the one I made with their ancestors when I took them by the hand and led them out of the land of Egypt. They did not remain faithful to my covenant, so I turned my back on them, says the Lord. But this is the new covenant I will make with the people of Israel on that day, says the Lord: I will put my laws in their minds, and I will write them on their hearts. I will be their God, and they will be my people … And I will forgive their wickedness, and I will never again remember their sins’” (Hebrews 8:6-10, 12, parenthesis mine). For you see, the Lord did remember the people’s sins under the Old Covenant; hence, the need for constant atonement through continual sacrifices required by the Law of Moses. “…In this way, they will be refined and cleansed and made pure until the time of the end, for the appointed time is still to come” (Daniel 11:35). This persecution reached its apex during the horrific Holocaust of World War II. See Eye of Prophecy article: Two-Thirds of the Jews Killed … Past or Future? (Posted 9-19-15). “For I know the plans I have for you, says the Lord. They are plans for good and not for disaster, to give you a future and a hope. In those days when you pray, I will listen. If you look for me wholeheartedly, you will find me … I will end your captivity and restore your fortunes. I will gather you out of the nations where I sent you and will bring you home again to your own land” (Jeremiah 29:11-14). *Note: The “disaster” referred to is both stated and implied in the Old Testament as complete annihilation of Israel. God would never let that happen, though many Jews would be murdered by merciless Gentile nations down through the ages. As well as Israelites killing each other (sometimes with huge casualties) in civil wars after Israel split into two kingdoms. Nor would the Lord eliminate his people himself; though he threatened to do so on more than one occasion—but for getting their full attention concerning the seriousness of the contemptible things they had done. 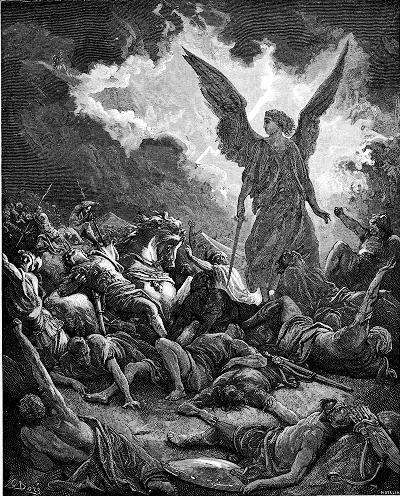 For example, see Exodus 32, the well-known incident depicted below in which God threatened to wipe them out and start over with Moses and his descendants. “I am as likely to reject (forever) my people Israel as I am to abolish the laws of nature! This is what the Lord says: Just as the heavens cannot be measured and the foundations of the earth cannot be explored, so I will not consider casting them away (permanently) for the evil they have done. I, the Lord have spoken!” (Jeremiah 31:36-37, parenthesis mine). “Is not Israel still my son, my darling child, says the Lord. I often have to punish him, but I still love him. That’s why I long for him and surely will have mercy on him. Set up road signs; put up guideposts. Mark well the path by which you came. Come back again, my virgin Israel; return to your towns here. How long will you wander, my wayward daughter? For the Lord will cause something new to happen—Israel will embrace her God” (Jeremiah 31:20-22). *Note: Those signs and guideposts and markings are literally along the highways, in the streets, and on the buildings of the reborn nation of Israel. God’s covenant with Abraham, Isaac, and Jacob is (finally) materializing before our 20th and 21st century eyes, i.e. 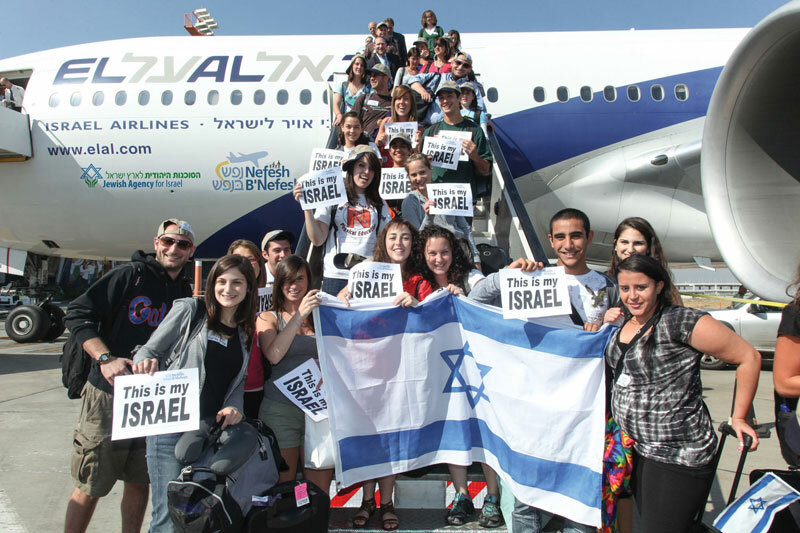 the return of Jews to the Promised Land of Israel from nations all over the world. This is in preparation for the completion of the Lord’s covenant with King David, as well as the climactic culmination of the New Covenant by which all Israel will be saved (Romans 11:26). The Lord has created four prominent covenants with Israel and the Jewish people (to make them a conduit of God’s Word and salvation to all peoples). In chronological order: Abrahamic Covenant, Mosaic Covenant of Law, Davidic Covenant, and New Covenant of Grace. It’s interesting to note that the first and third covenants were made with one man and his immediate descendant(s): Although those two covenants obviously included all of God’s people as beneficiaries, His unconditional covenant (Promised Land & Promised Child) was constructed directly with Abraham, then Isaac, and finally Jacob—father of the twelve tribes that would become the nation of Israel. Subsequently, God’s covenant with David was unconditional (extended to Solomon for the duration of his life/reign) but conditional for all subsequent kings of Israel. Unconditional because an everlasting King would one day rule forever on David’s throne … a perpetual dynasty. Which is why the Lord frequently cites Abraham (also Isaac and Jacob) and David (including Solomon) as the reason why He will faithfully extend those unilateral covenants to Israel as a nation. As a result, the remnant of Israel and Gentile believers will be richly blessed—both now, and especially beginning with the Millennial Reign of Messiah Jesus. However, the Davidic Covenant was applied conditionally to the succession of Israel’s kings, if they would continue to obey and serve the Lord. None of the kings of the northern tribes followed the Lord; consequently, that kingdom ceased to exist 208 years after Solomon’s reign ended. Because several kings of Judah (at least in part), particularly Hezekiah and Josiah, sought the Lord’s guidance and served him willingly, the southern kingdom was spared for another 136 years. *Note: The kings of the ten northern tribes (called Israel) did not descend from David, rather mostly from Jeroboam; whom God chose as their first king because the Lord knew that the northern tribes would revolt against Solomon’s son Rehoboam, which is exactly what they did. In contrast to the Abrahamic and Davidic Covenants, the Covenant of the Law was not given to just one man. Although the Law was given through Moses it was to all of Israel. It was a conditional covenant with the entire nation of Israel, with direct nation-wide consequences for obedience or disobedience. Thus, it was necessary for all of Israel to agree to the terms of this covenant. And why God would (and later did, via the New Covenant) revoke this agreement if the people failed to keep it. A little later we read: “Then he took the Book of the Covenant and read it aloud to the people. Again, they all responded, ‘We will do everything the Lord has commanded. We will obey’” (Verse 7). This remarkable covenant would be for all people. However, unlike the Covenant through Moses, it would be unconditional—to parallel the covenants with Abraham (everlasting possession of the Promised Land) and David (eternal dynasty) and to merge and fulfill those covenants. Under the New Covenant, there was nothing that Jews (or Gentiles) need do except simply believe in Messiah Jesus and receive him as personal Lord and Savior. Salvation is to be received as a gift from God’s grace, not earned by doing anything, including keeping the Law of Moses—which no one has ever done or ever could do, except Jesus (Ephesians 2:8-9). 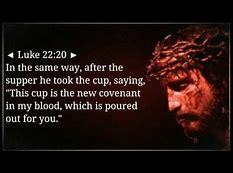 The New Covenant is so much easier and so much better and so much more permanent (as in forever) than the former covenant through Moses. In the very next chapter after announcing the New Covenant, Jeremiah refers to it as an everlasting covenant. “And I will give them one heart and one purpose: to worship me forever, for their own good and for the good of all their descendants. And I will make an everlasting covenant with them: I will never stop doing good for them. I will put a desire in their hearts to worship me, and they will never leave me. I will find joy doing good for them and will faithfully and wholeheartedly replant them in this land” (Jeremiah 32:39-41). This everlasting covenant is mentioned by one other prophet prior to Jeremiah. In the context of the entire passage (chapter), it’s clear that the everlasting covenant will be a new one which would consolidate and bring to fruition the Abrahamic and Davidic covenants (See Isaiah Chapter 61). The eternal New Covenant would be the all-important spiritual component and counterpart—salvation through Messiah Jesus—of the unending land and dynasty covenants with Abraham and David, respectively: From Jerusalem the capital of the Promised Land of Israel, Messiah will rule and reign forever. Alas, it’s taken nearly 2,000 years for God’s people to (begin to) recover from the reason why their second temple was destroyed, and why they were exiled to the four corners of the earth. Jesus knew this would happen. And it broke his heart. He also predicted the fall of Jerusalem and the utter destruction of the Temple, which took place less than 40 years later. “Jerusalem, Jerusalem, who kills the prophets and stones those who are sent to her! How often I wanted to gather your children together, the way a hen gathers her chicks under her wings, and you were unwilling. Behold, your house is being left to you desolate! For I say to you, from now on you will not see Me until you say, ‘Blessed is He who comes in the name of the LORD!’” (Matthew 23:37-39, NASB). In Hebrew, the last sentence reads: Baruch haba b’shem Adonai. About 40 years elapsed from the onset of Jeremiah’s ministry—during which time he foretold the New Covenant and the destruction of Solomon’s Temple—to when that Temple was destroyed. It would be a prophetic preview of Israel’s rejection of the New Covenant (their Messiah) followed by the subsequent destruction of the 2nd Temple and (this time) complete loss of the sacrificial system, and (this time) a horrifically long dispersion. 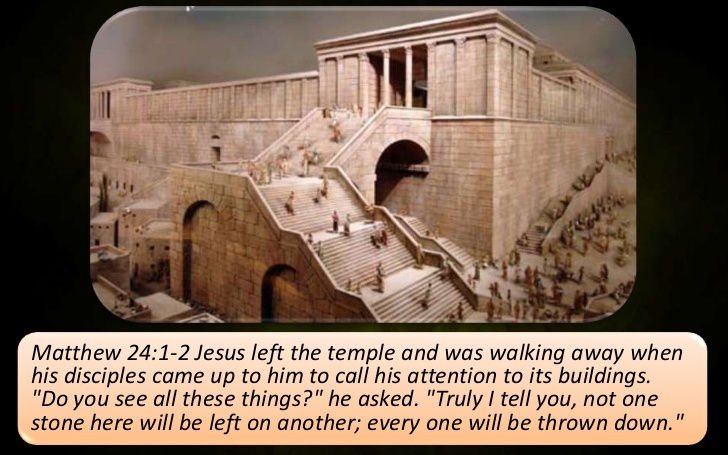 Remarkably, this was the same time-frame (40 years) from when Jesus established the New Covenant and foretold the fate of the 2nd Temple, to the time when that Temple was leveled by the Romans. The destruction of the rebuilt temple was a painful but residual (cause and effect) result of a new and better way (Covenant) in which God would once and for all redeem and reconcile fallen humanity. One that did not need a temple and repetitive animal sacrifices to maintain ongoing atonement for sin. The New Covenant would be God’s love and law written on their hearts, not just on tablets of stone. It would come through forgiveness of sins by believing and receiving Messiah’s substitutionary sacrifice on a cross, so dramatically described by Isaiah: “But He was pierced through for our transgressions, He was crushed for our iniquities; The chastening for our well-being fell upon Him, and by His scourging we are healed. All of us like sheep have gone astray, each of us has turned to his own way; But the Lord has caused the iniquity of us all to fall on Him” (Isaiah 53:5-6, NASB). The reason the Babylonian captivity was so (relatively) short and the temple subsequently rebuilt is because the Lord was giving Israel one more opportunity to demonstrate that they could faithfully keep the Law of Moses. The people didn’t. They couldn’t. Led by Zerubbabel, over 42,000 Jews returned from Babylon to Israel and rebuilt the Temple. About 80 years later (August 4th, 458 B.C. ), Ezra guided a much smaller contingency of former exiles to Israel and found that the Jews had, “…taken up the detestable practices of the Canaanites, Hittites, Perizzites, Jebusites, Ammonites, Moabites, Egyptians, and Amorites.” (Ezra 9:1). “I prayed, ‘O my God, I am utterly ashamed. I blush to lift up my face to you. For our sins are piled higher than our heads, and our guilt has reached to the heavens. From the days of our ancestors until now, we have been steeped in sin. That is why we and our kings and our priests have been at the mercy of the pagan kings of the land. We have been killed, captured, robbed, and disgraced, just as we are today. But now we have been given a brief moment of grace…. He has given us security in this holy place. Our God has brightened our eyes and granted us some relief from our slavery’” (Ezra 9:6-8). 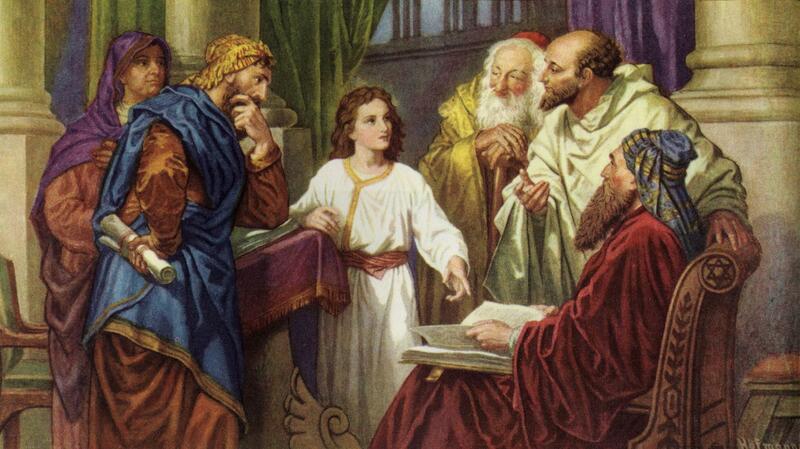 Ezra continues: “And now, O our God, what can we say after all of this? For once again we have abandoned your commands! Your servants the prophets warned us…. Now we are being punished because of our wickedness and our great guilt. But we have actually been punished far less that we deserve, for you, our God, have allowed some of us to survive as a remnant” (Ezra 9:10-11 & 13). “Summarily revisiting the first heading of this week’s article: Judaism Is Still in Denial … Of What & Why? “Of what? Of the overwhelming evidence that the New Covenant (of Grace)—implemented when Messiah Jesus died on the cross and arose again from the dead—was providentially connected to and resulted in the subsequent destruction of the Temple, because God’s people rejected their Messiah. In fact, the Jews were in the beginning stages of denial before their exile to Babylon. They had not come to terms with the fact that God’s presence (Shekinah glory) in Solomon’s Temple had been withdrawn six years before the Temple was razed by Nebuchadnezzar (Ezekiel Chapters 8-11). Nor did God return to the Temple for some 600 years, when the Son of God (God the Son) first stepped foot in the rebuilt Temple. In one of his visions of both the first and second coming of Messiah, the prophet Zechariah, who recorded his prophecies during the rebuilding of the Temple, wrote: “Then the angel of the Lord spoke very solemnly to Jeshua and said, ‘…If you follow my ways and carefully serve me, then you will be given authority over my Temple and its courtyards… Listen to me, O Jeshua the high priest, and all you other priests. You are symbols of things to come. Soon, I am going to bring my servant, the Branch’” (Zechariah 3:6-8). As we’ve already seen, neither the priests of Israel nor most of the people followed the ways of the Lord and carefully served him. This disobedience continued to and through the birth, life, death, and resurrection of Jesus Christ. However, even if they had, they were still only symbols of the coming Messiah (as the Tabernacle and the earthly Temples and the sacrificial system only shadow patterns of the New Covenant to come). Indeed, God did send the Branch, none other than Messiah Jesus, only to be denied by his own people. “He came into the very world he created, but the world didn’t recognize him. He came to his own people and even they rejected him. But to all who believed him and accepted him, he gave the right to become children of God. They are reborn—not with a physical birth resulting from human passion or plan, but a birth that comes from God” (John 1:10-13). In Jesus’s time, the lamentable lip service condition of Judaism had not changed. So much so that Jesus blasted the Pharisees; calling them hypocrites and comparing them to vipers and to tombs that were white-washed on the outside but full of death (spiritual) on the inside. Twice, Jesus purified the Temple in a manner we would describe in modern terms as: cleaning house. “When they arrived back in Jerusalem, Jesus entered the Temple and began to drive out the people buying and selling animals for sacrifices. He knocked over the tables of the money changers … and he stopped everyone from using the Temple as a marketplace. He said to them, ‘The Scriptures declare, My Temple will be called a house of prayer for all nations, but you have turned it into a den of thieves’” (Mark 11:15-17). Messiah Jesus is the real (heavenly) Temple of God. He contains and expresses God’s glory (his very essence) because he is God—the Son. “Christ is the visible image of the invisible God. He existed before anything was created and is supreme over all creation” (Colossians 1:15). “For God in all his fullness was pleased to live in Christ, and through him God reconciled everything to himself. He made peace with everything in heaven and earth by means of Christ’s blood on the cross” (Colossians 1:19-20). 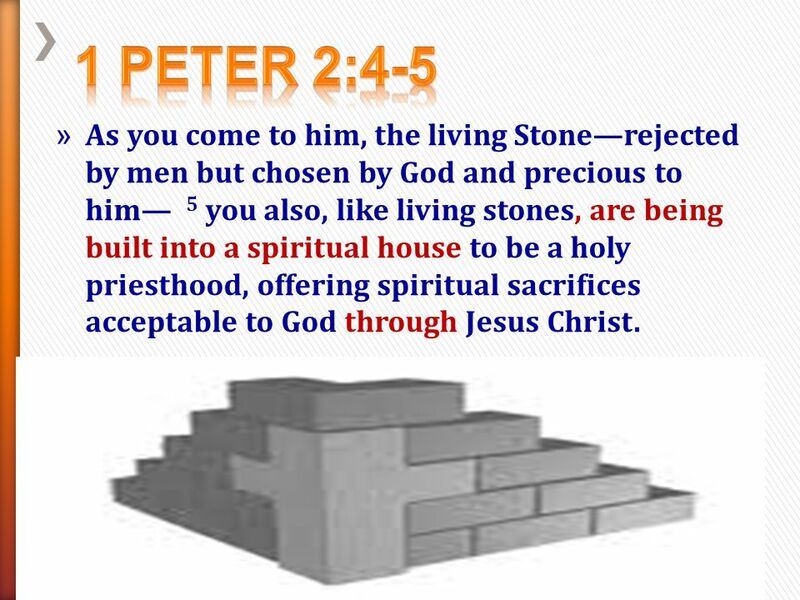 In turn, those who have believed and received Messiah Jesus as personal Savior are also individual temples of the Lord indwelt by the Holy Spirit (I Corinthians 6:19-20). …Does the question even have an answer? The answer to that question depends upon whether anyone earnestly and honestly searching for the truth will agree that a New Covenant is necessary and is in place. 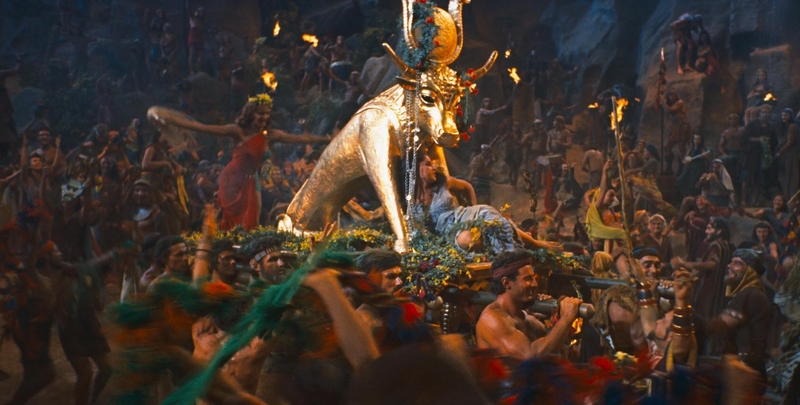 For, without the sacrificial offerings, the Law can only judge. Without a replacement to the Old Testament system of Atonement that ended with destruction of the Temple, the Law can only condemn. However, for all who agree that Jesus is the Messiah who arrived on the scene of history as Biblically prophesied; …that he died and rose again as the ultimate perfect sacrifice for their sins; then place their complete trust in his redemptive atonement thereby entrusting their eternal destiny to his finished work on the cross, they will have positively answered the question. …God still gives us free will, the option to choose. But concerning atonement, redemption, salvation: forgiveness is available only through the shedding of blood. The Old Covenant was a temporary shadow. It is gone, along with the Temple. Will you choose the Old or the New? Also see Eye of Prophecy articles, The Cross and the Torn Curtain, Part I & II. (Posted 2-6 & 2-13-16). Will there be another Jewish Temple? According to Ezekiel and Daniel the answer is an absolute, Yes. *Note: Although Ezekiel’s Temple (Chapters 40-48, with Ezekiel 47:12 highlighting the ongoing existence of that Temple) will be the final Temple, it may or may not be the (third) rebuilt Temple constructed early in the seven-year Tribulation period. Which is the one that both Daniel and Jesus said would be desecrated by Antichrist. The temple described by Ezekiel in extraordinary detail could be a 4th Temple. Also, there will not be a temple in the (heavenly) New Jerusalem (Revelation 21:22). Only in the earthly Jerusalem. But why? If the New Covenant did away with the need for a material Temple and the Levitical sacrificial system, what will be its purpose? Because time/space in this week’s article doesn’t permit extensive elaboration and because I’ve written about this (in detail) in a few Eye of Prophecy articles, observations will be limited to an excerpt from one of those articles. From, A Third Jewish Temple Part II, Posted 5-3-14 (in italics). The annual Festival of Shelters or Booths (Sukkot in Hebrew) is the only festival in which God will require that all nations send representatives to attend. Why? Because the Festival of Booths is a remembrance of God’s provisions, protection, but most of all his presence among his people … going all the way back to Israel’s wanderings for forty years in the wilderness before entering the Promised Land. “…All who come to worship will be free to use any of these pots to boil their sacrifices…” (Verse 21, italics for emphasis). Also, see Eye of Prophecy article, Sukkot … The Forever Festival! Published 10-22-16. I love Israel and the Jews because God loves them (and you and me) and has given me and many other believers a love for his chosen people. Not chosen because they’re special. Instead, special (set apart) because they are chosen. To bring us God’s Word and the light of God’s salvation through Messiah Jesus, who is the God/Man—the Son of David from the tribe of Judah—who makes us right with God. Hear the words of God the Father through his prophet, Jeremiah: “In those days and at that time I will raise up a righteous descendant from King David’s line. He will do what is just and right throughout the land. In that day Judah will be saved, and Jerusalem will live in safety. And this will be its name: The LORD is Our Righteousness” (Jeremiah 33:15-16). 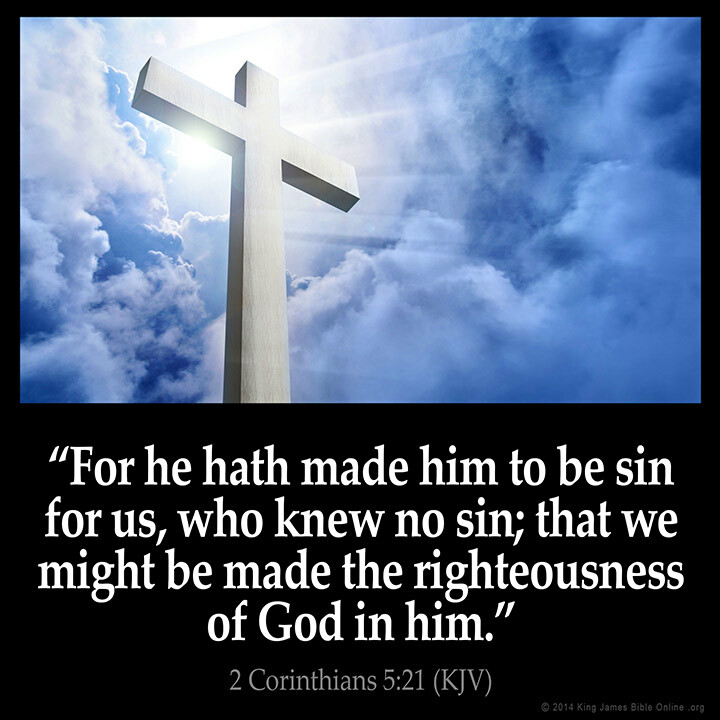 Messiah Jesus IS our righteousness! Said the Lord to Israel: “Listen to me, O my people, while I give you stern warnings. O Israel, if you would only listen to me!” (Psalm 81:8). Hundreds of years later, the Father said the same thing, this time about the Mediator (I Timothy 2:5) of the New Covenant, Jesus of Nazareth: “…This is my dearly loved Son, who brings me great joy! Listen to him” (Matthew 17:5, italics for emphasis). “Then the Lord said to me… ‘I will raise up a prophet like you from among their fellow Israelites. I will put my words in his mouth, and he will tell the people everything I command him. I will personally deal with anyone who will not listen to the messages the prophet proclaims on my behalf’” (Deuteronomy 18:17-19). This message is found in God’s New Covenant with Israel … extended to Gentiles. “…And that message is the very message about faith that we preach. If you confess with your mouth that Jesus is Lord and believe in your heart that God raised him from the dead, you will be saved. For it is by believing in your heart that you are made right with God, and it is by confessing with your mouth that you are saved … Jew and Gentile are the same in this respect … For ‘Everyone who calls on the name of the LORD will be saved’ (quoting Joel 2:32). “But how can they call on him to save them unless they believe in him? And how can they believe in him if they have never heard about him? And how can they hear about him unless someone tells them?” (Romans 10:8-14).